You only get one shot to make a first impression. With HDClear for your Colorado Springs property, you can impress your guests and visitors and make an impression that lasts. HDClear Window Films allow you to add eye-catching graphics and dazzling decor to the interior and exterior surfaces of your building. 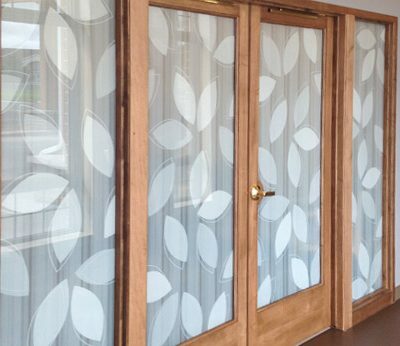 HDClears are the ultimate choice in decorative film for high end commercial and residential properties. 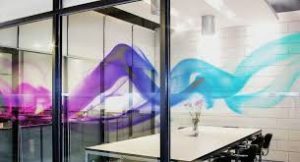 With HDClear, glass wall separators, ordinary windows, and accent walls become stunning works of art. Created using HDClear’s proprietary printing process, these films achieve outstanding clarity and color vibrancy. Customize them with your business logo, message, or pattern of your choice to create a look all your own. Whether you’re a homeowner in Manitou Springs or the owner of a restaurant or retail store in one of Colorado’s Springs’ many vibrant shopping centers such as Chapel Hills Mall or Old Colorado, you’ll love the look that HDClear brings your building. HDClear window films are great for both residential and commercial use and can be used for either interior or exterior applications. These films are especially popular among Colorado Springs office buildings, retail stores, schools, apartment buildings, and homeowners. Create a stunning look for your building with HDClear custom decorative film. Call Colorado Springs Window Film today to get started on a design or schedule your free consultation with a professional designer.